Maximum awards for your budget! These classic dark wood awards shields are designed to accommodate as many side shields as possible. This allows you to add monthly or even annual winners for years to come. This 12in shield (BPS28) version has 28 side shields and a larger version (BPS32) has 32. 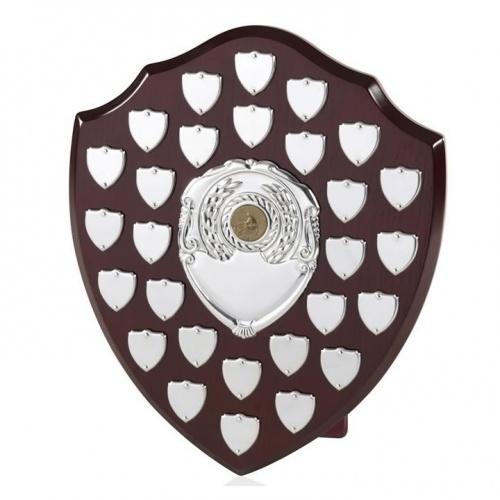 This shield also features a central plaque that can be engraved, and can be customised by the addition of an optional 1in bronze centre. There are 26 different sports or achievement centres to choose from.